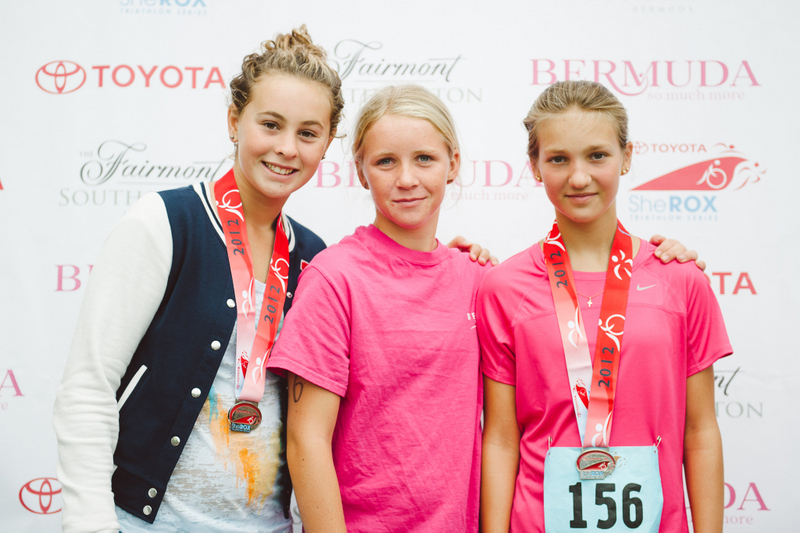 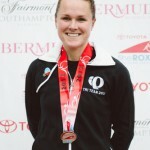 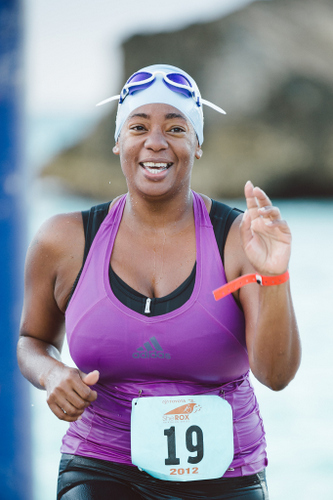 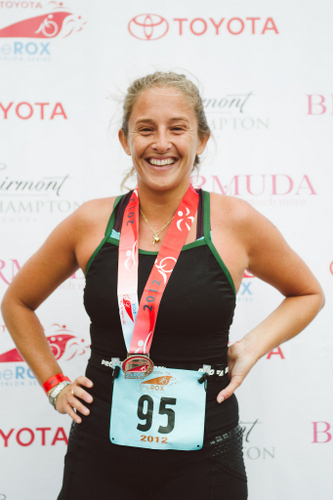 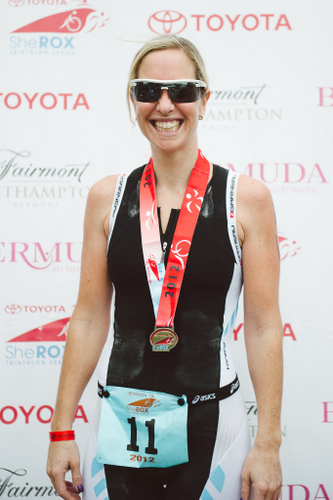 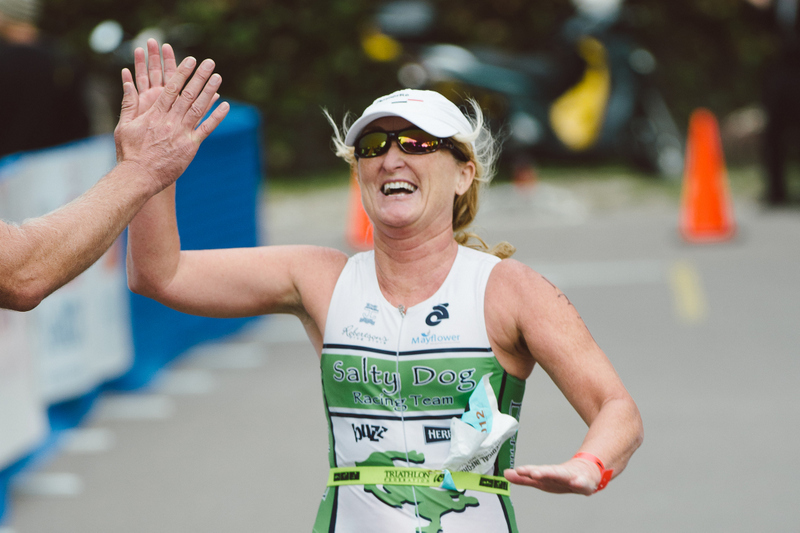 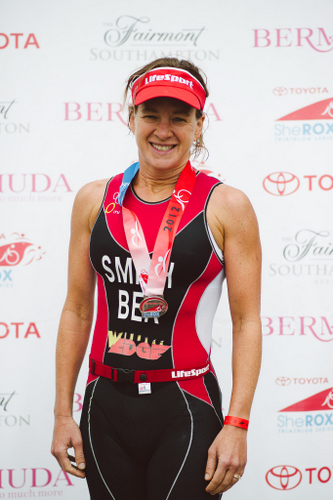 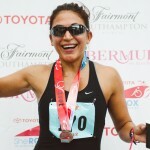 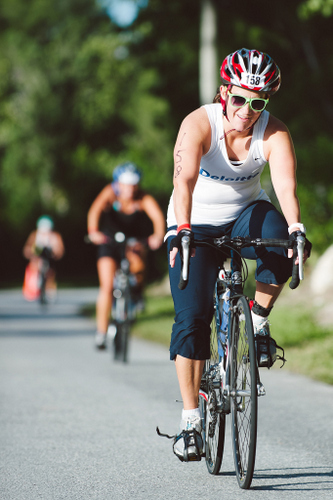 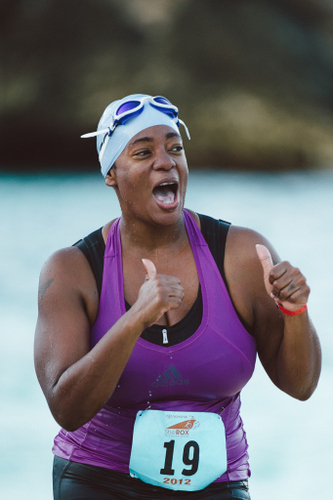 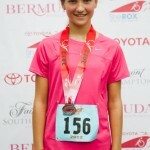 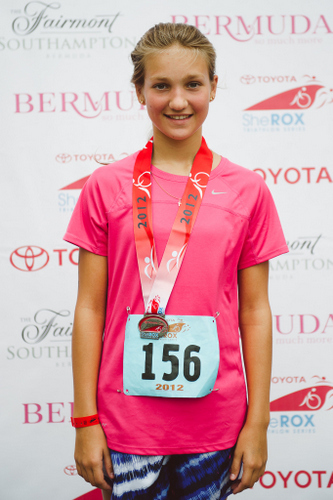 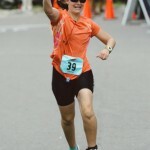 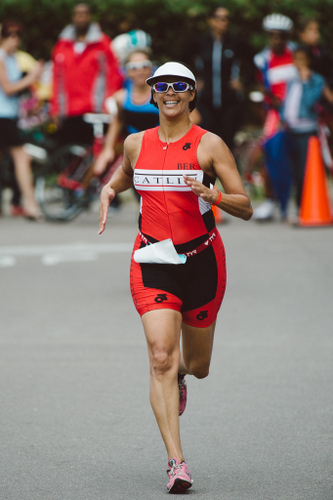 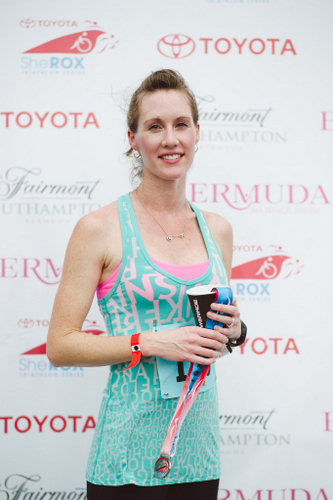 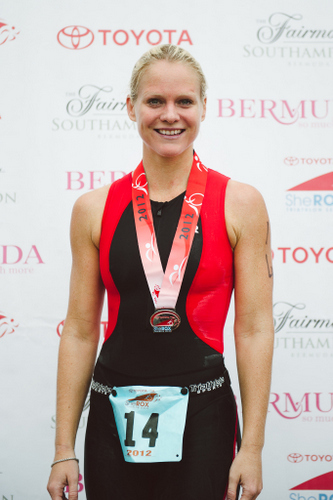 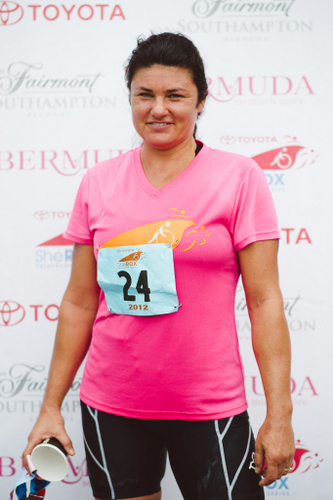 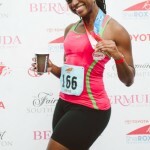 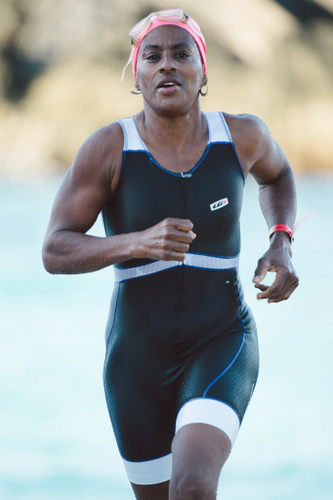 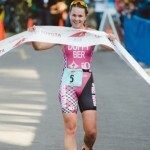 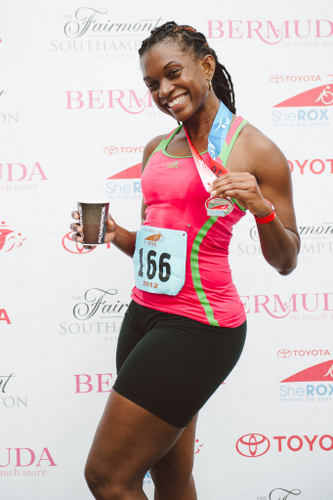 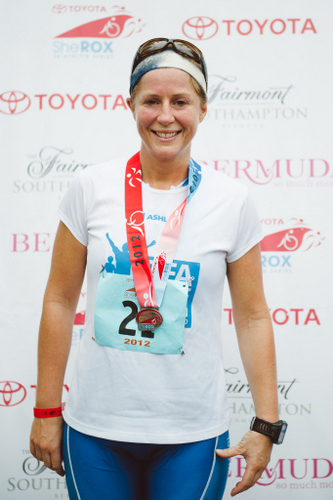 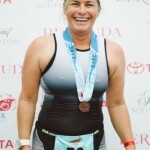 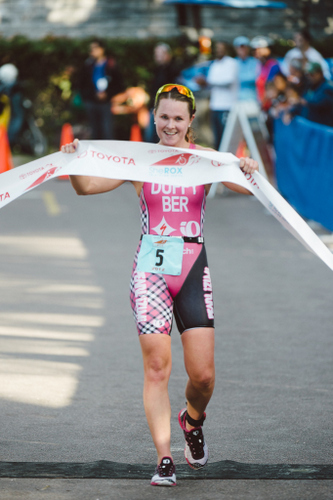 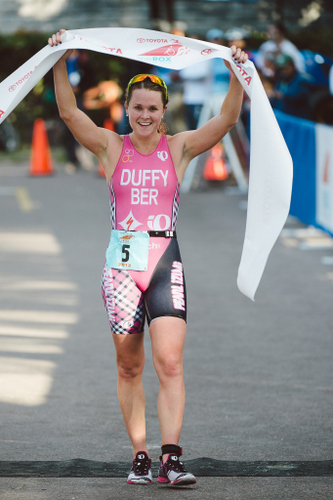 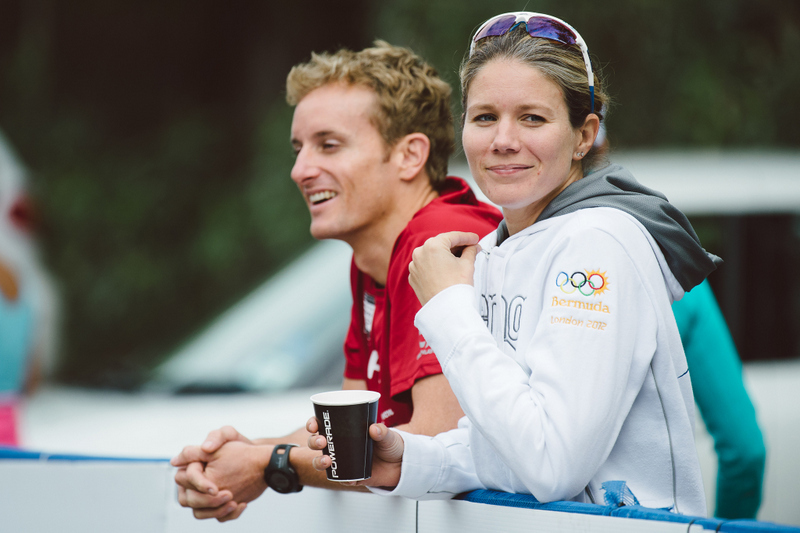 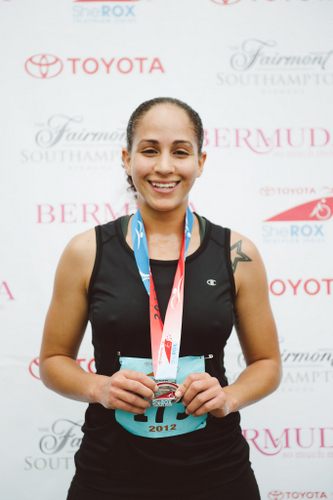 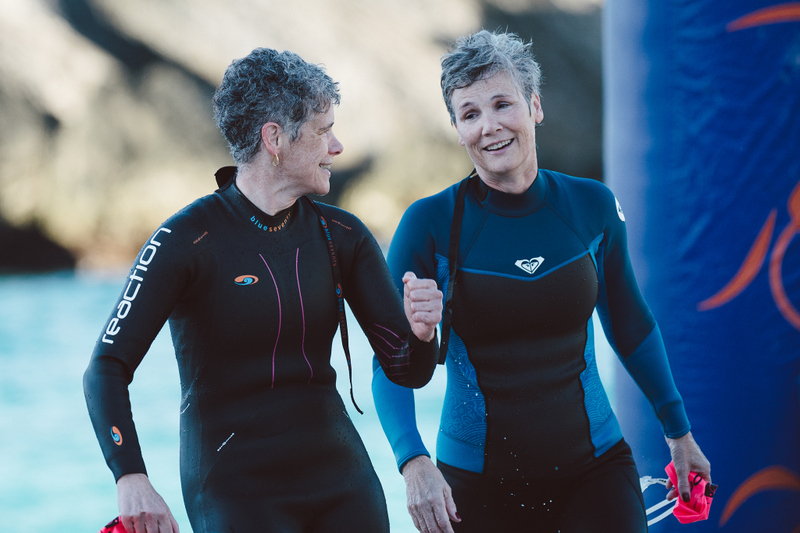 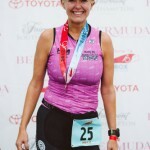 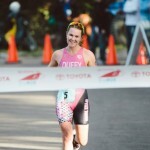 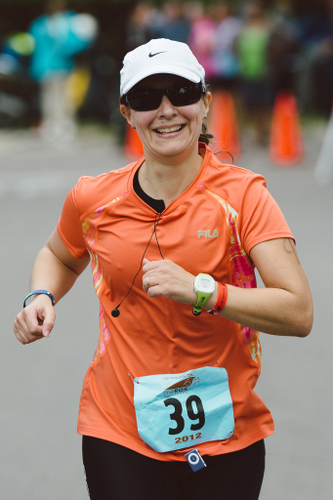 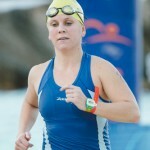 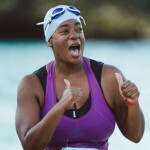 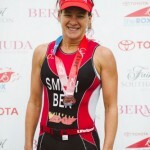 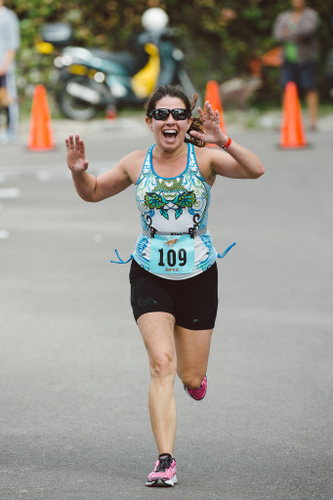 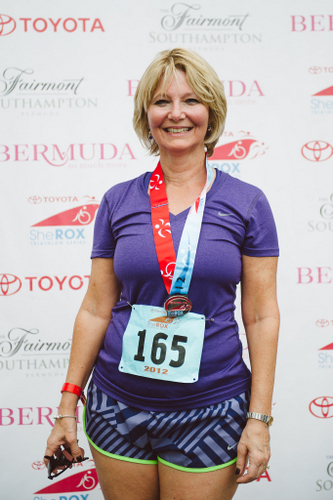 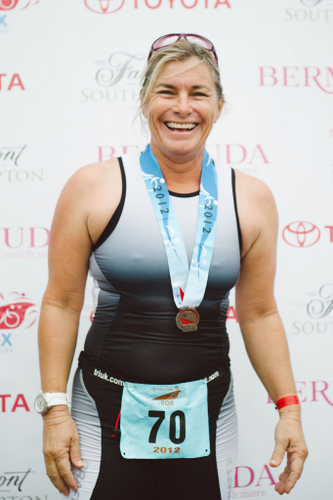 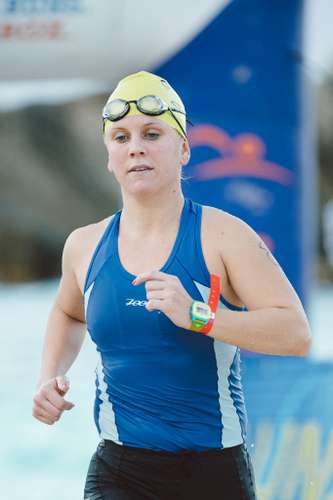 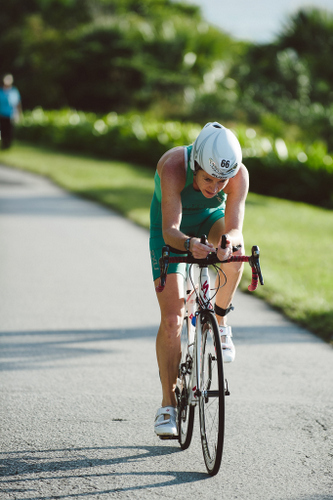 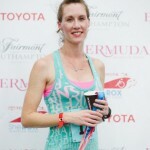 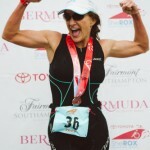 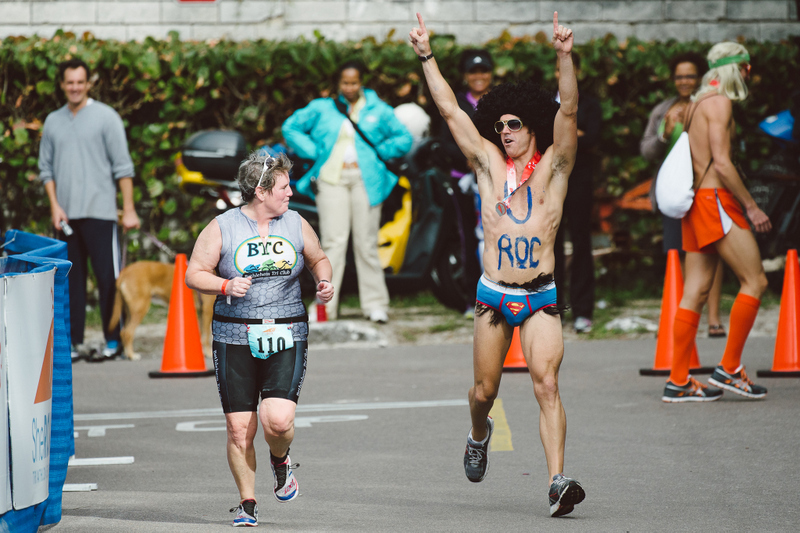 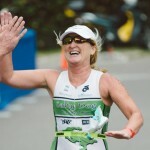 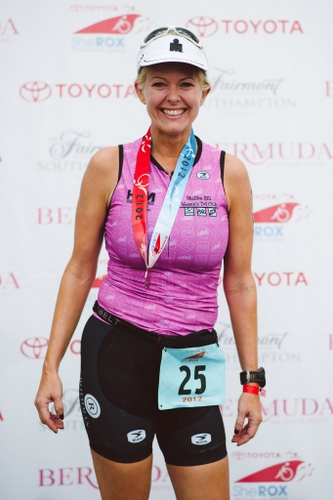 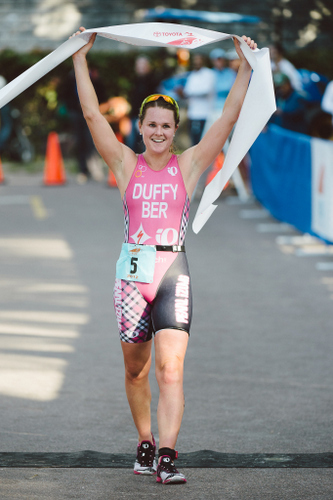 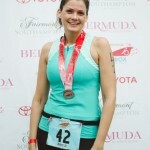 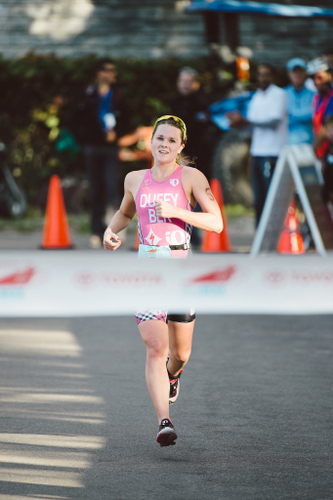 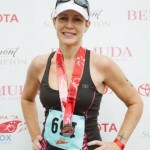 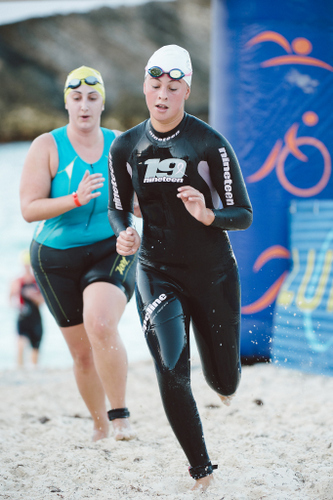 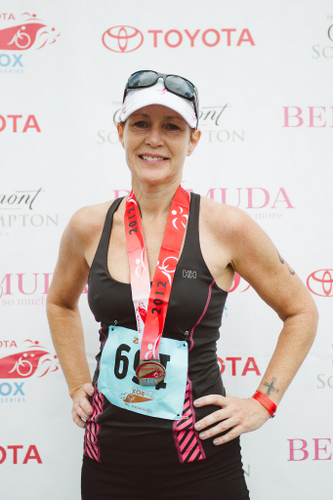 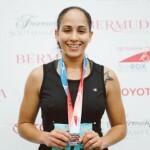 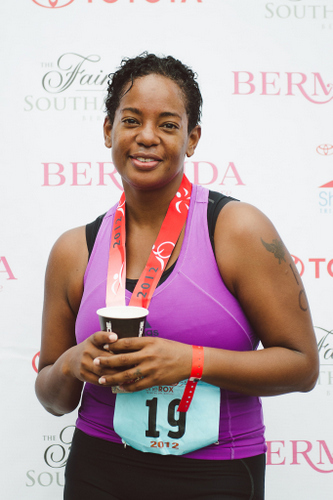 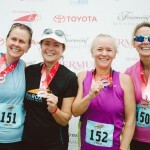 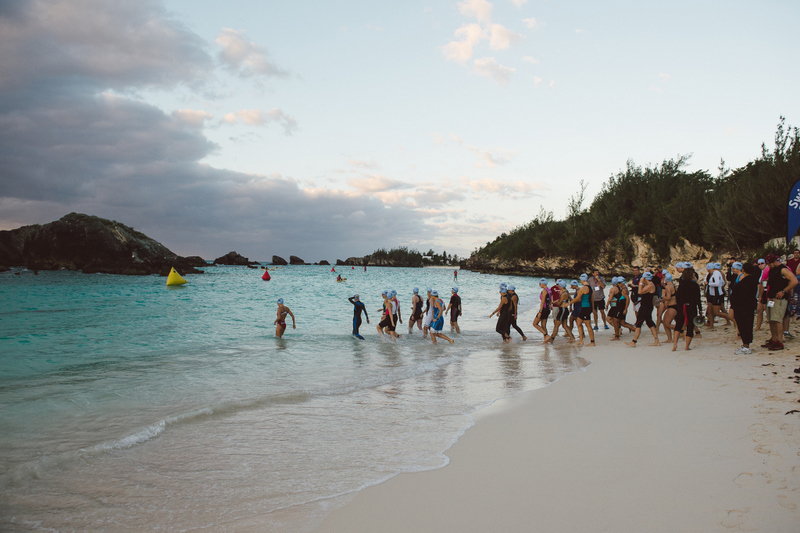 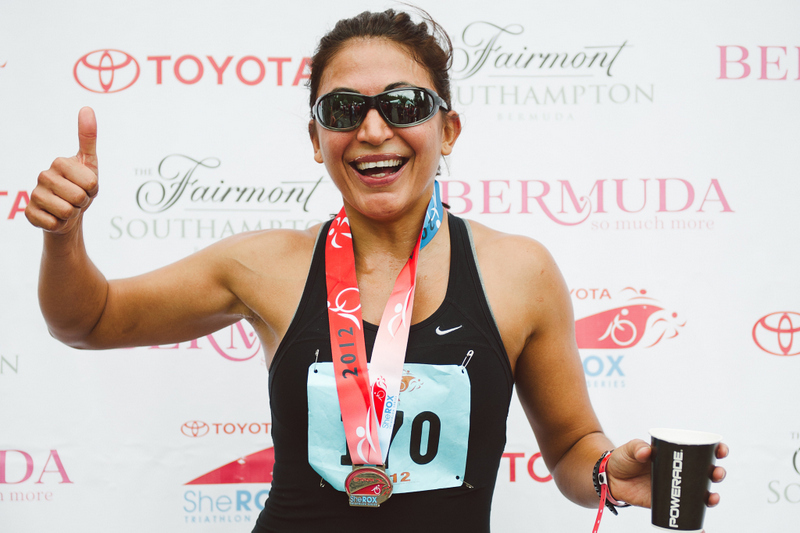 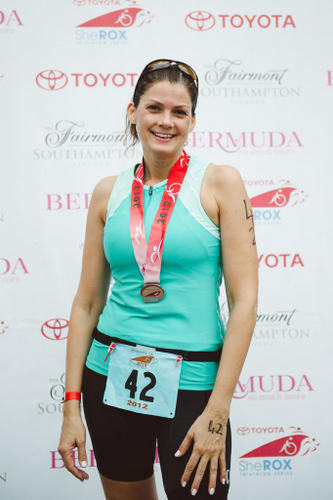 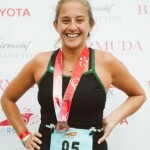 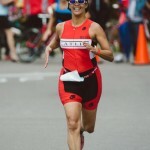 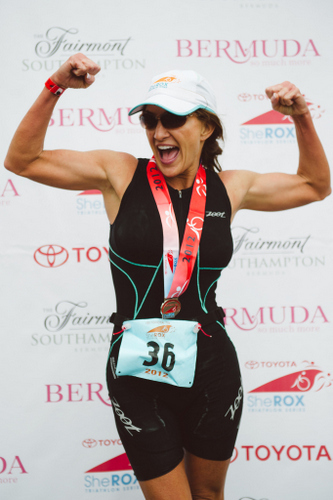 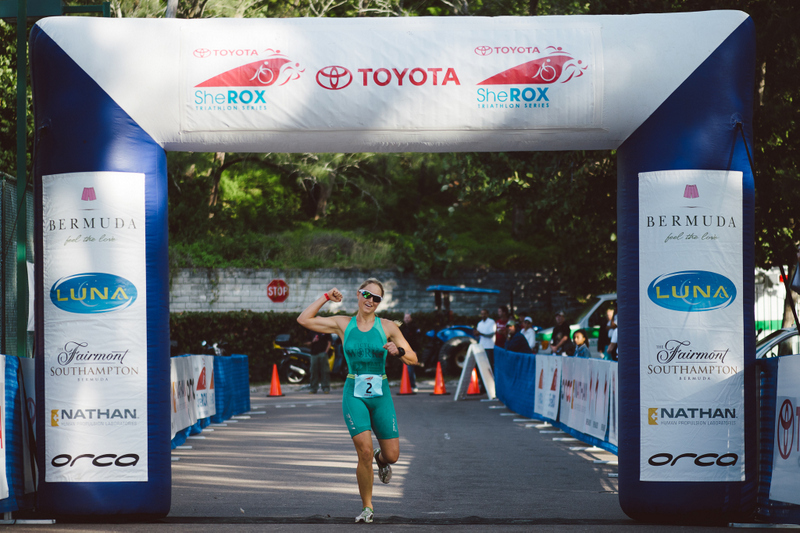 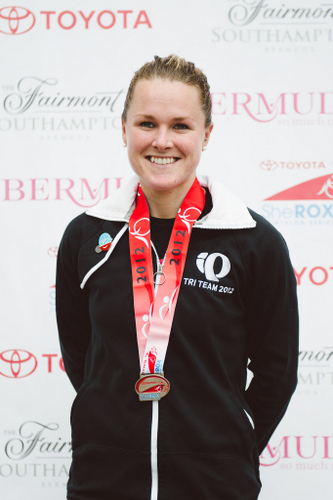 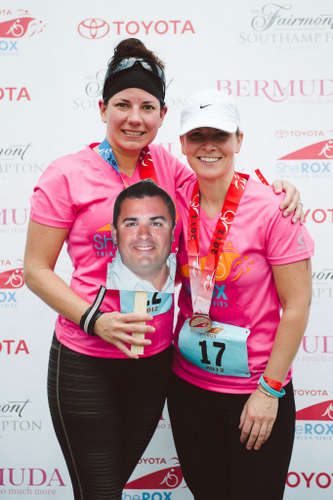 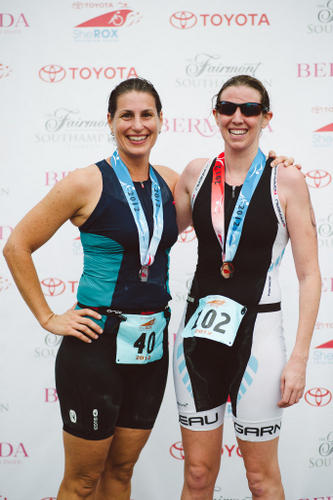 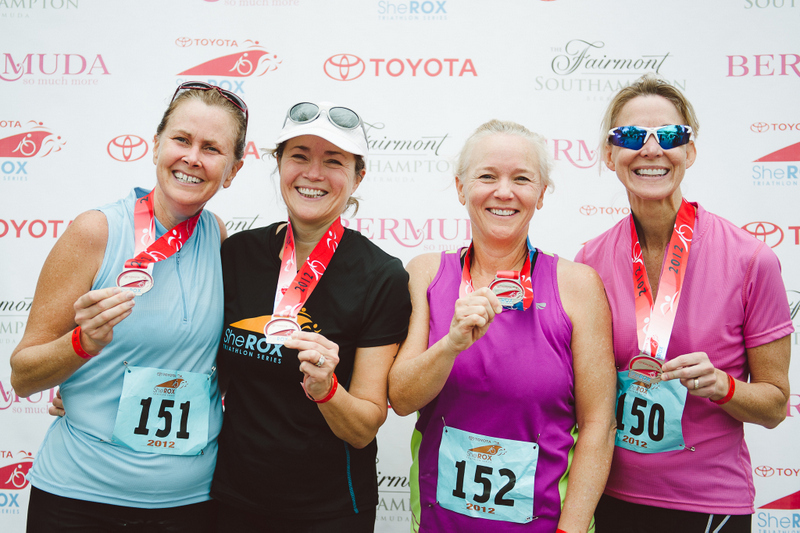 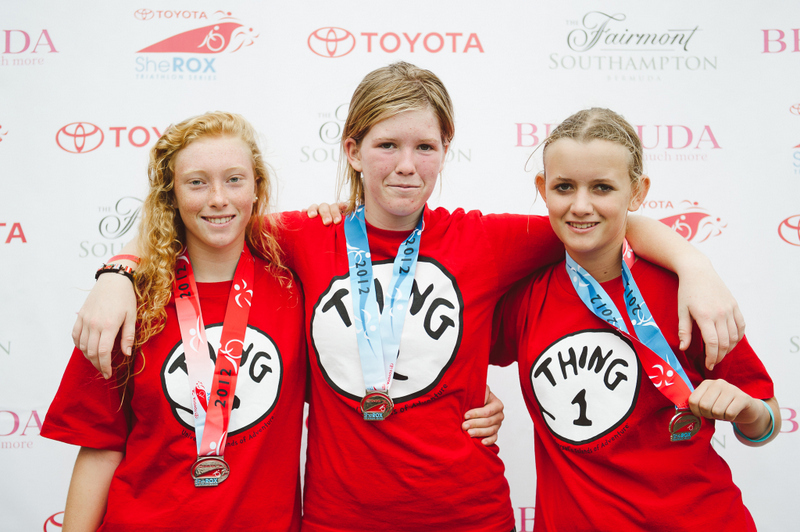 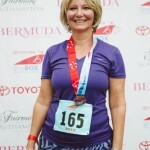 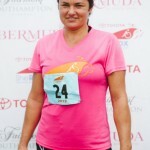 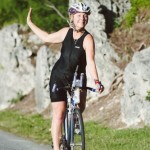 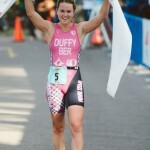 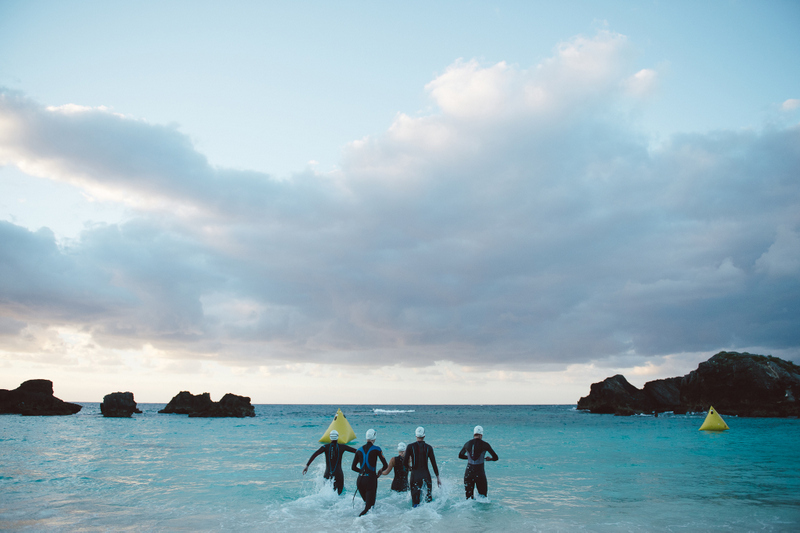 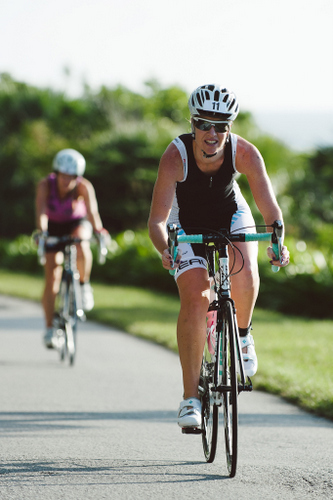 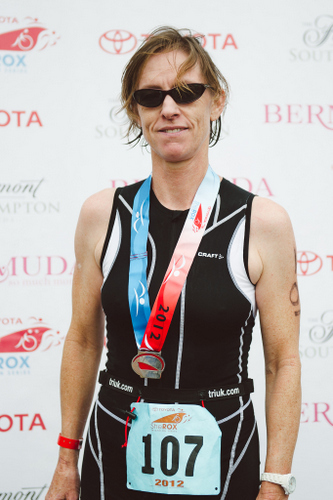 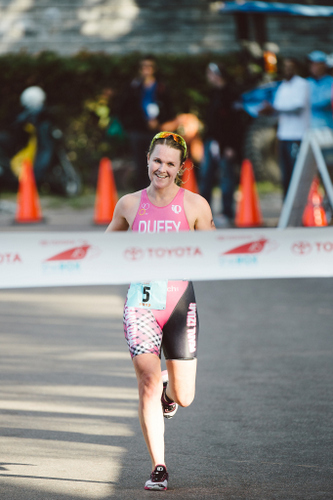 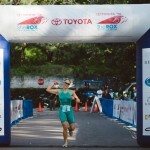 Two-time Olympian Flora Duffy raced to victory at the 2012 Bermuda SheRox Triathlon on Sunday morning [Nov 4] in Southampton. 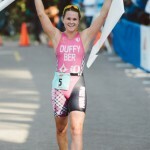 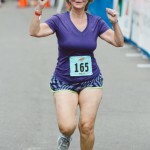 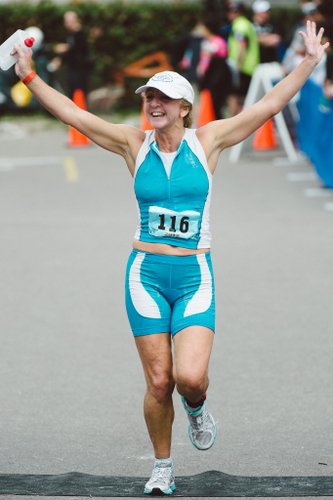 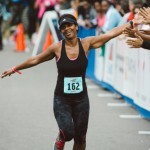 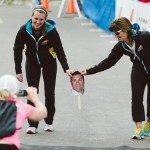 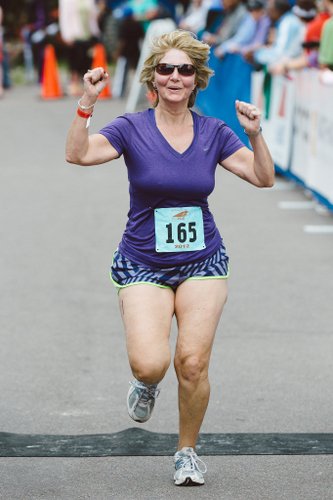 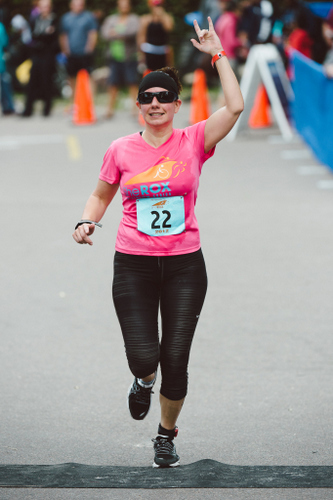 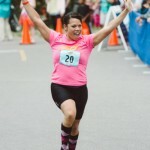 Ms Duffy crossed the line in 1:00:46, while the 2011 winner Kristyn Robinson finished second clocking 1:07:59 and Karen Smith finished third with a time of 1:09:21. 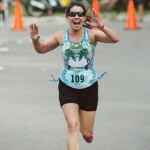 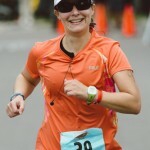 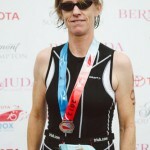 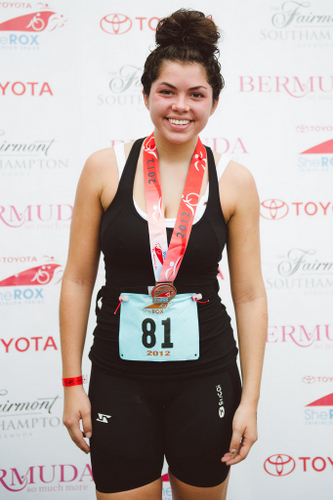 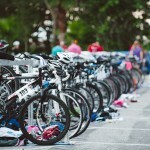 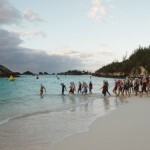 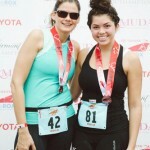 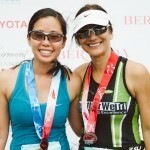 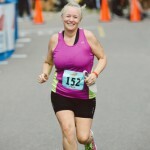 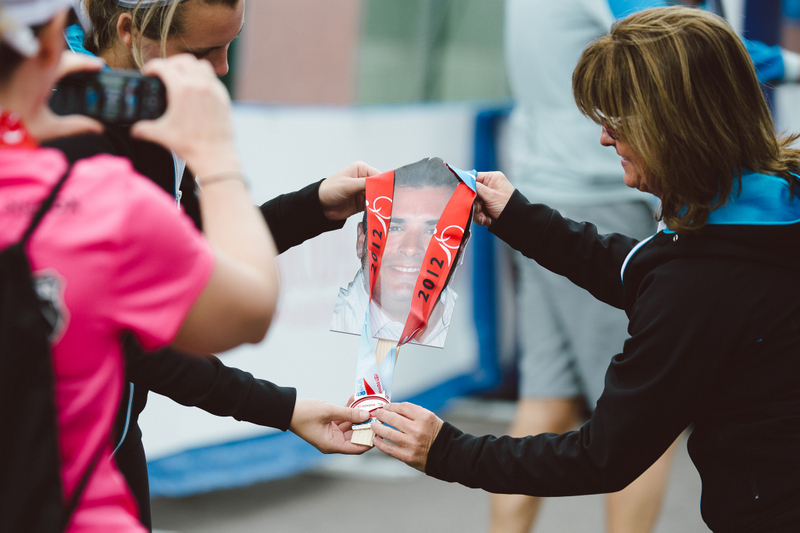 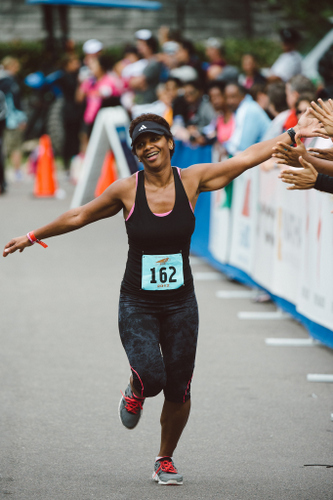 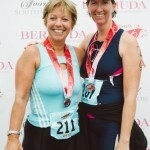 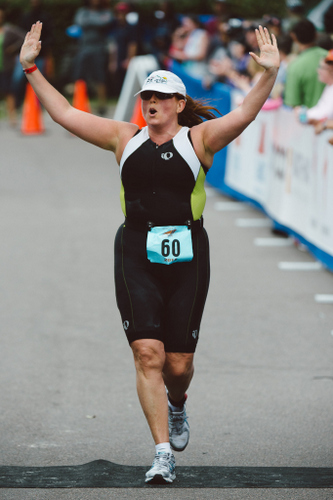 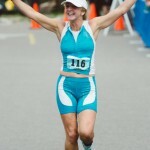 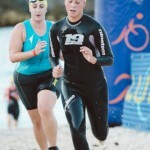 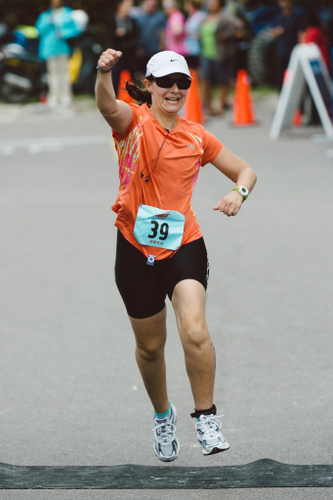 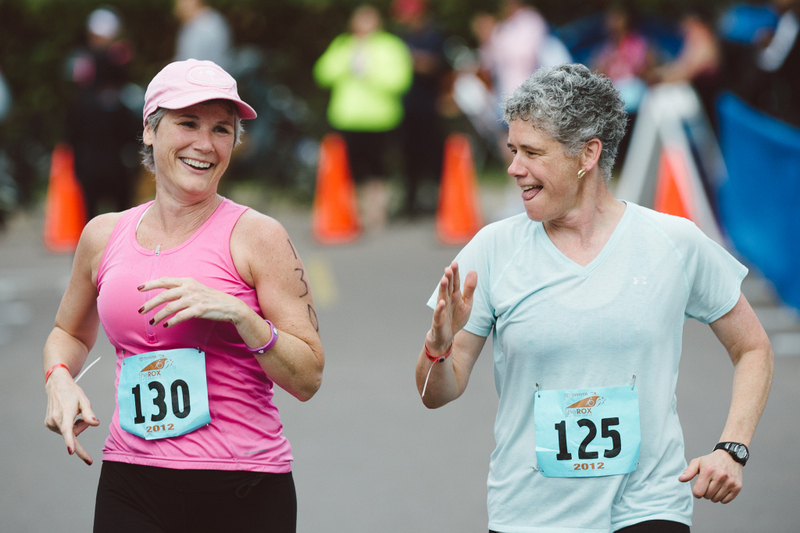 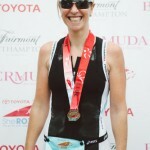 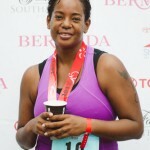 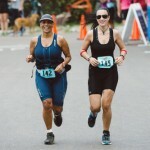 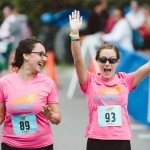 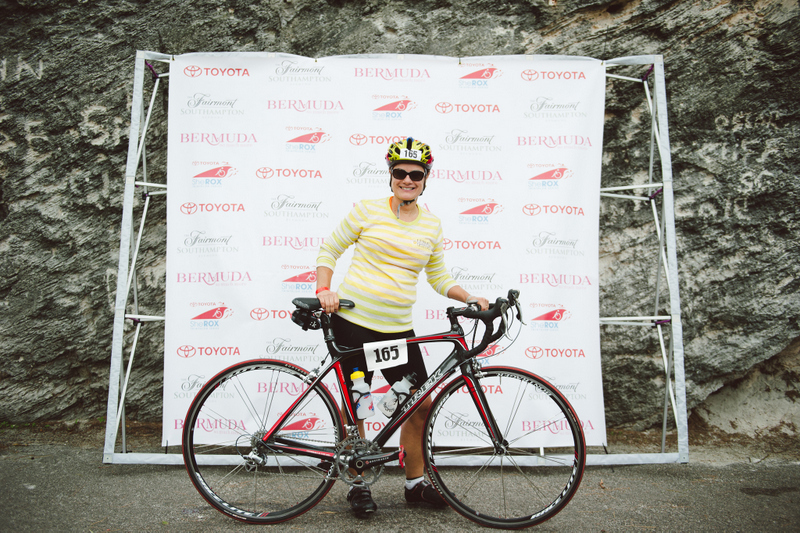 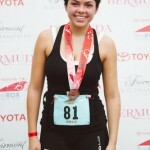 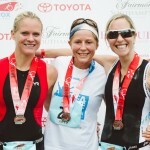 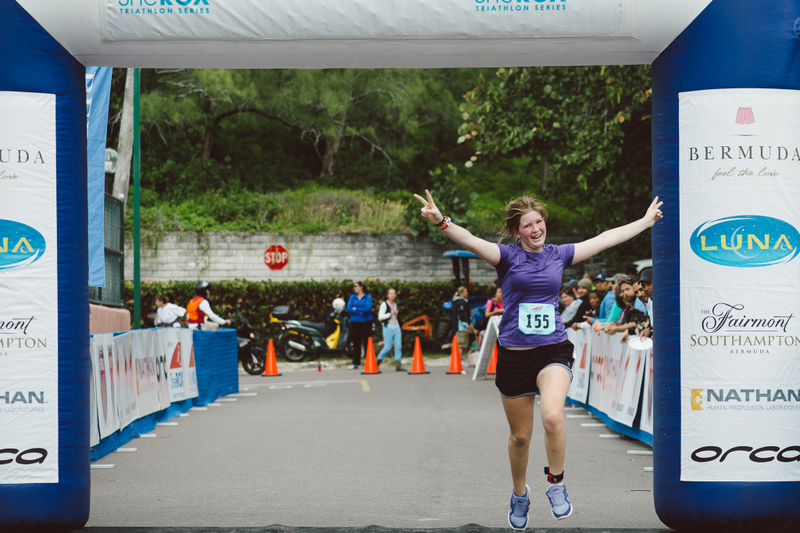 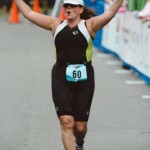 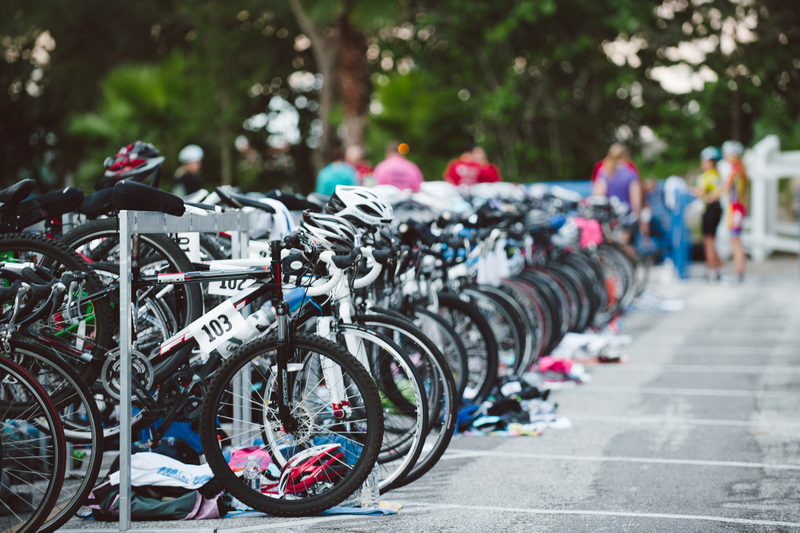 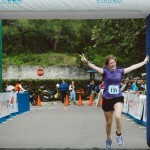 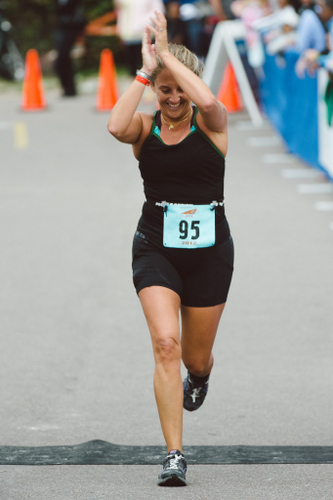 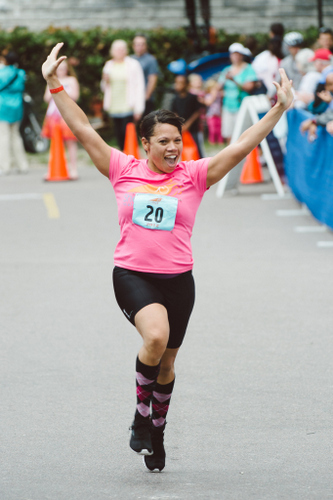 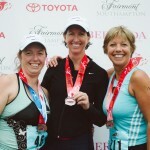 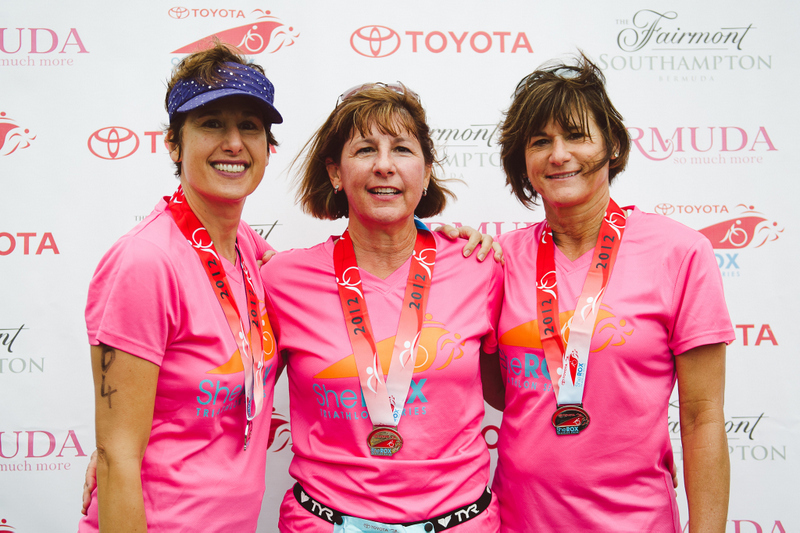 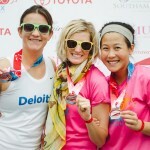 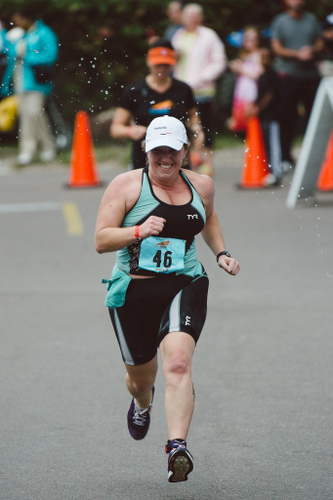 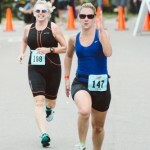 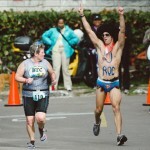 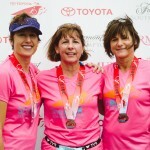 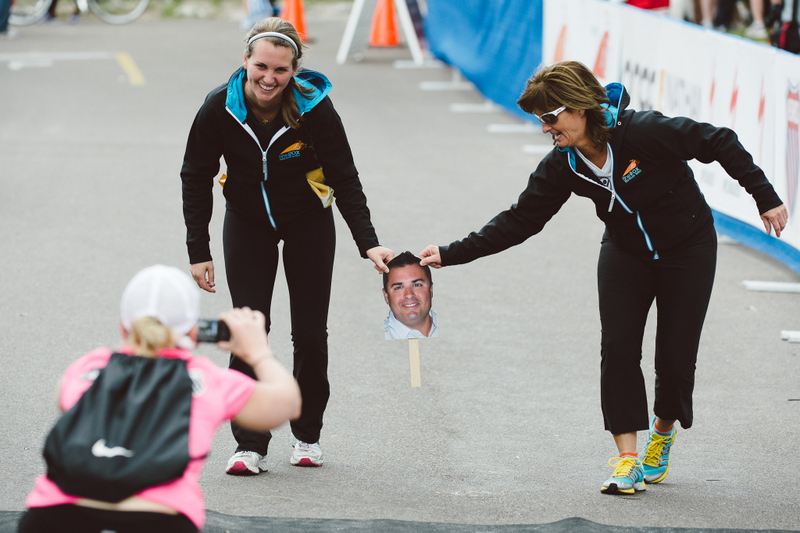 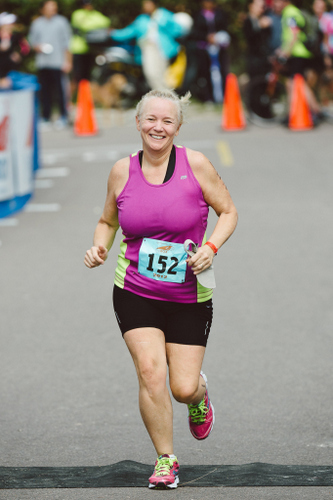 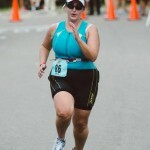 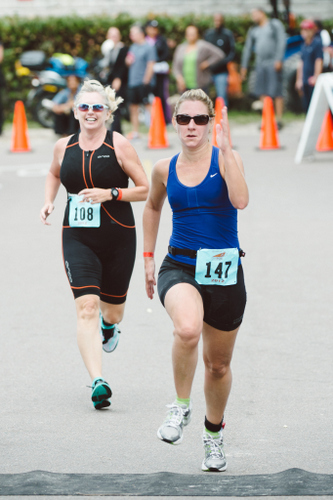 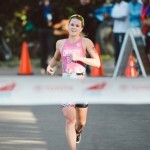 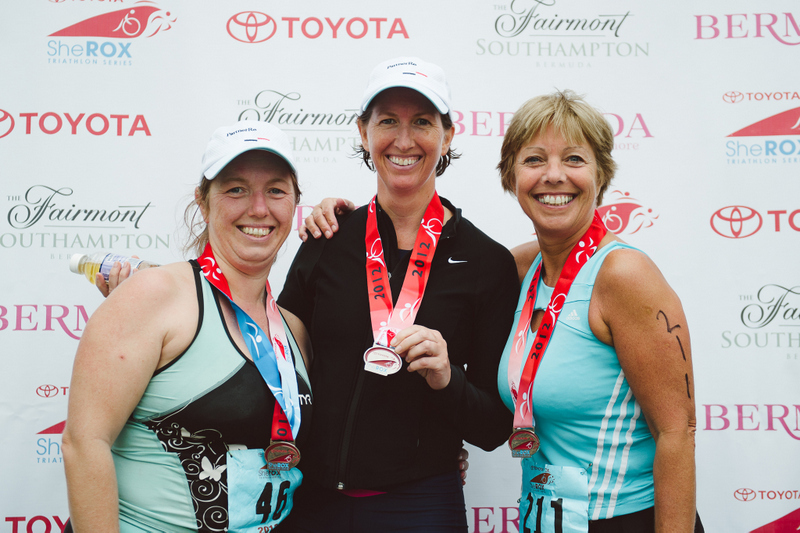 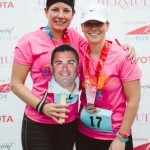 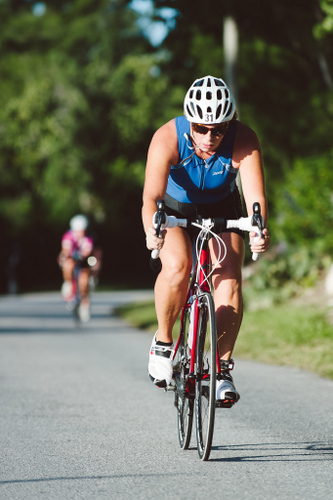 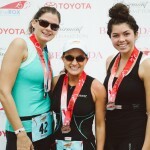 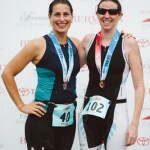 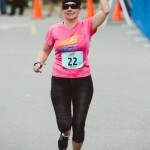 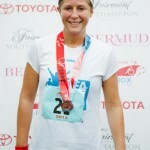 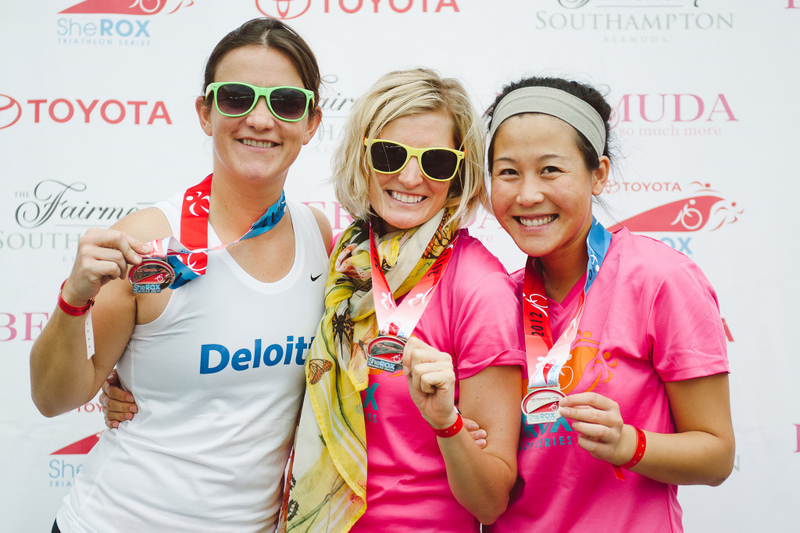 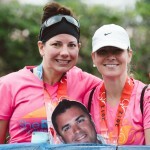 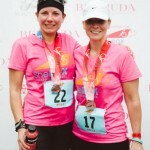 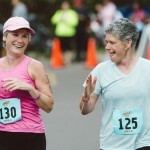 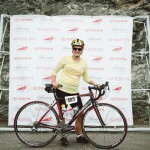 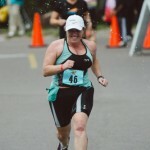 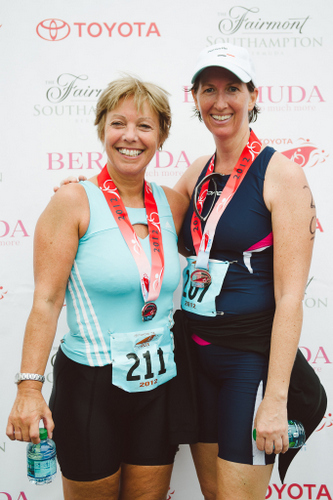 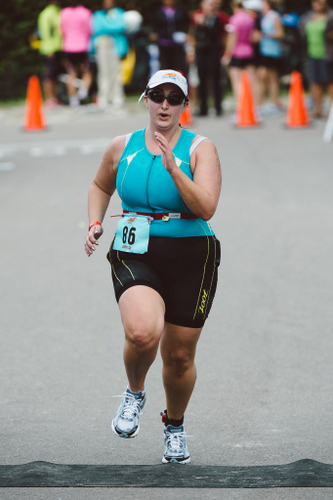 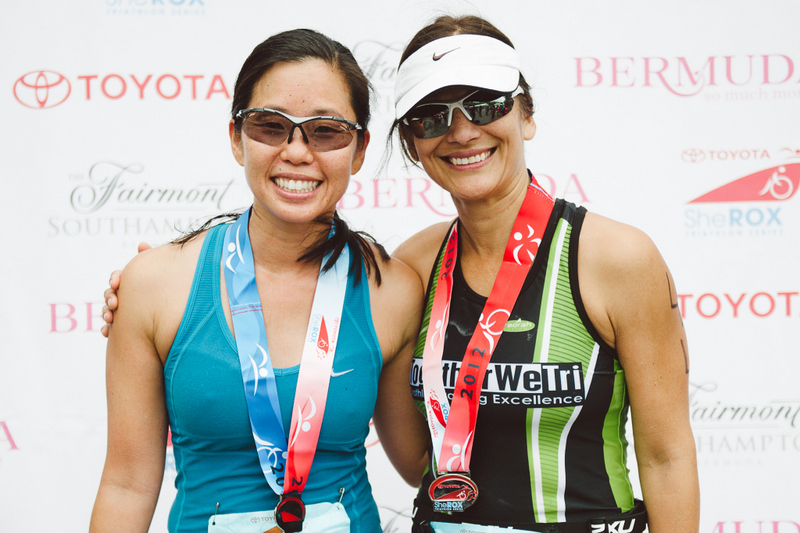 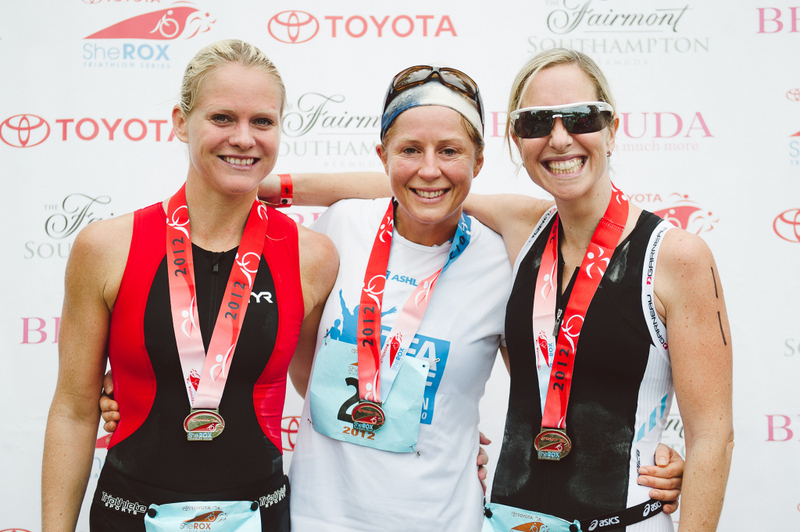 In total, 121 women finished the race, which consisted of .8K swim, 18.6K bike and 5K run. 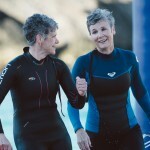 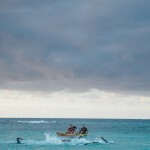 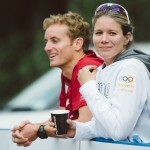 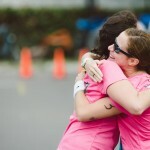 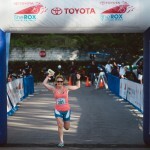 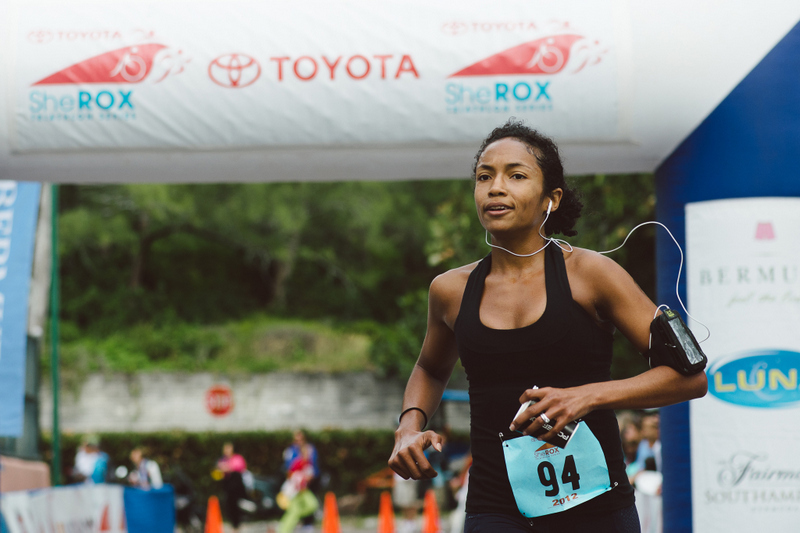 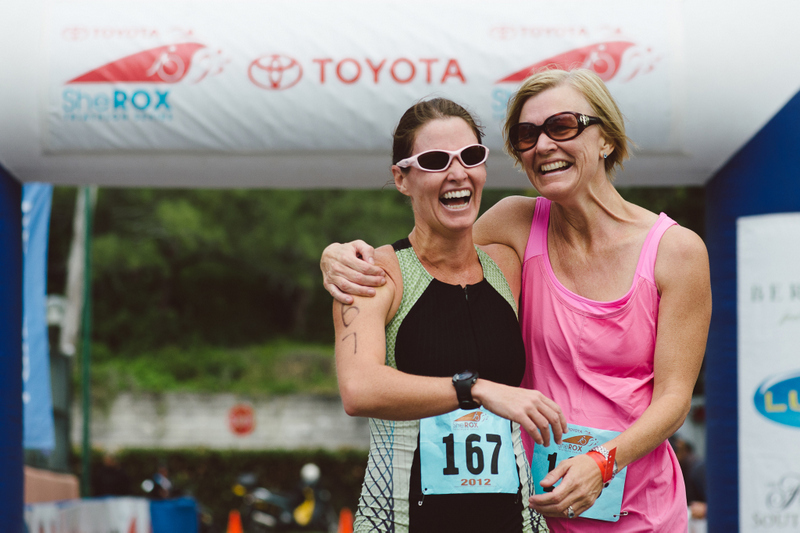 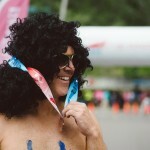 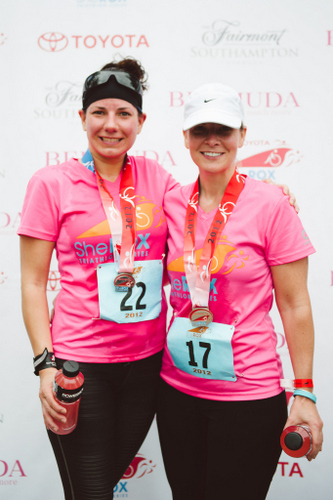 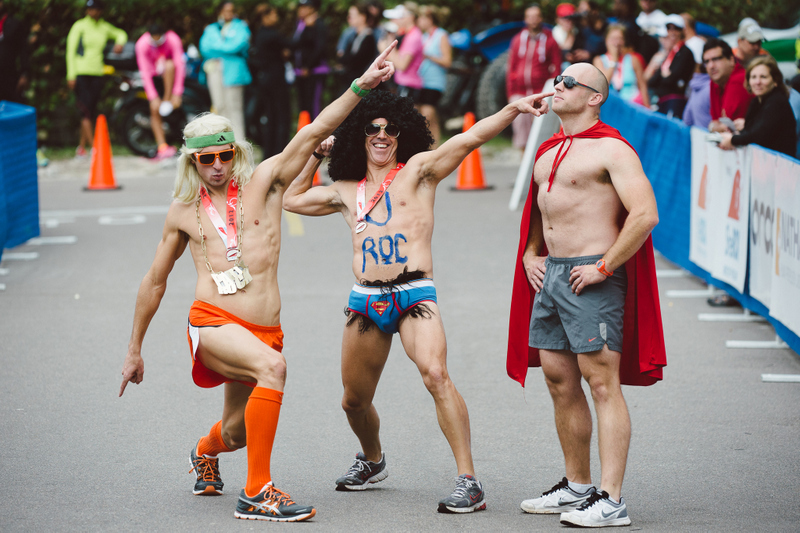 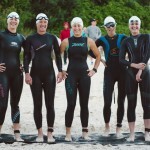 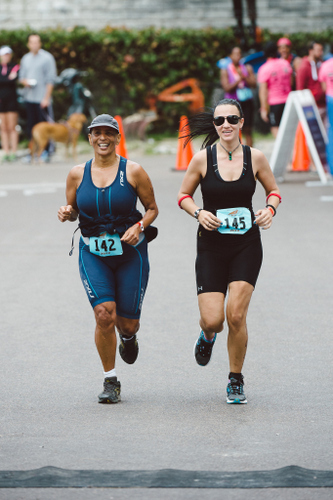 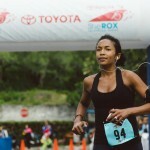 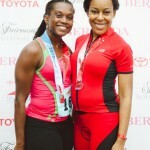 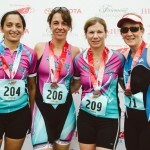 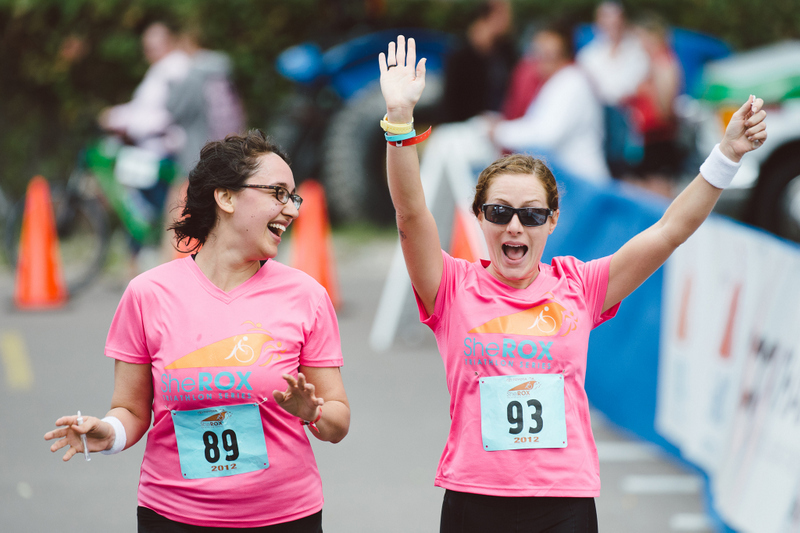 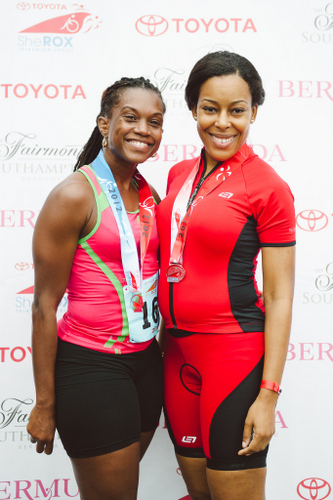 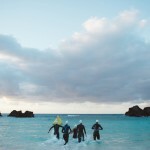 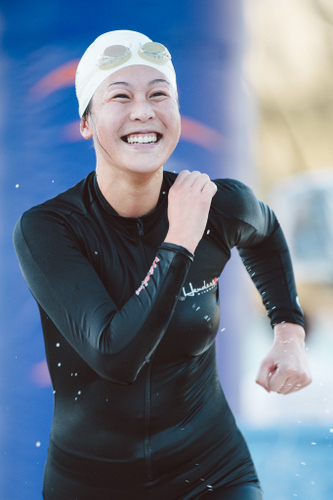 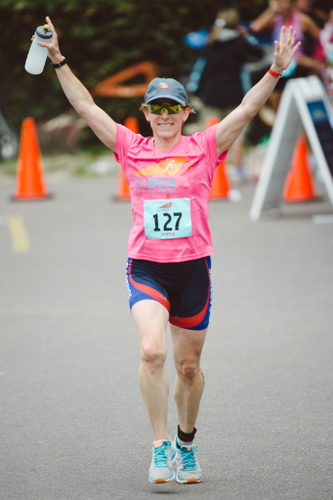 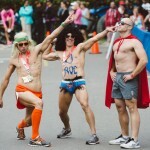 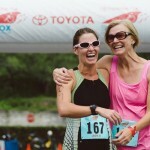 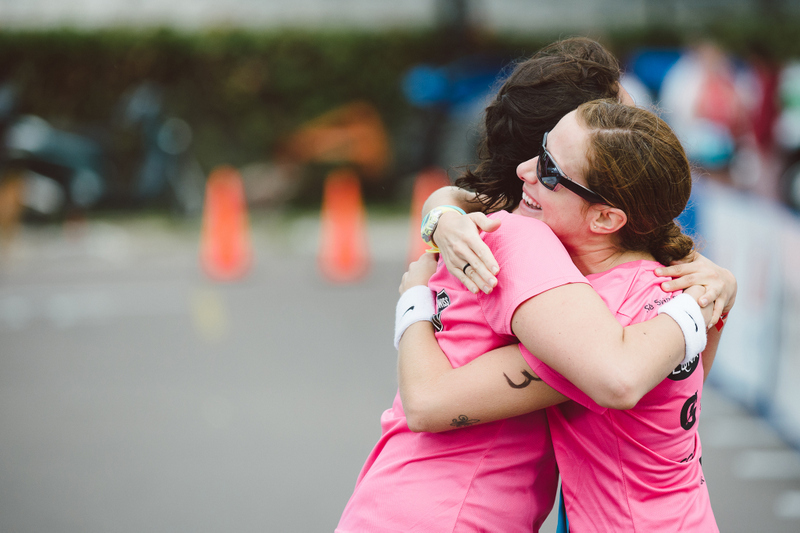 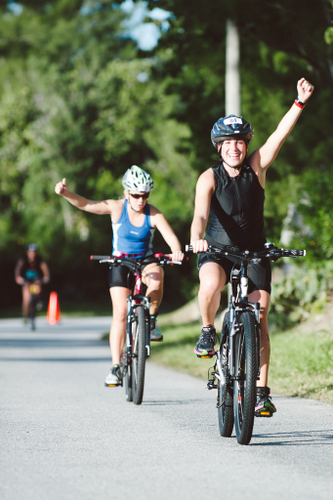 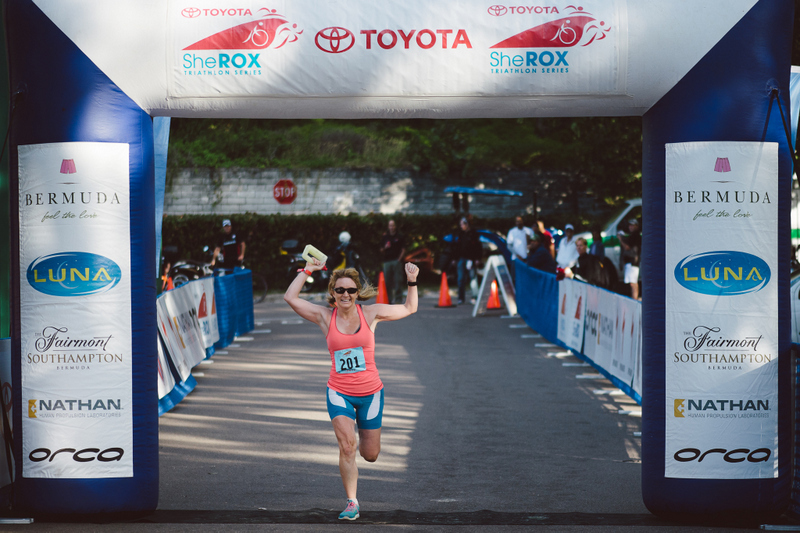 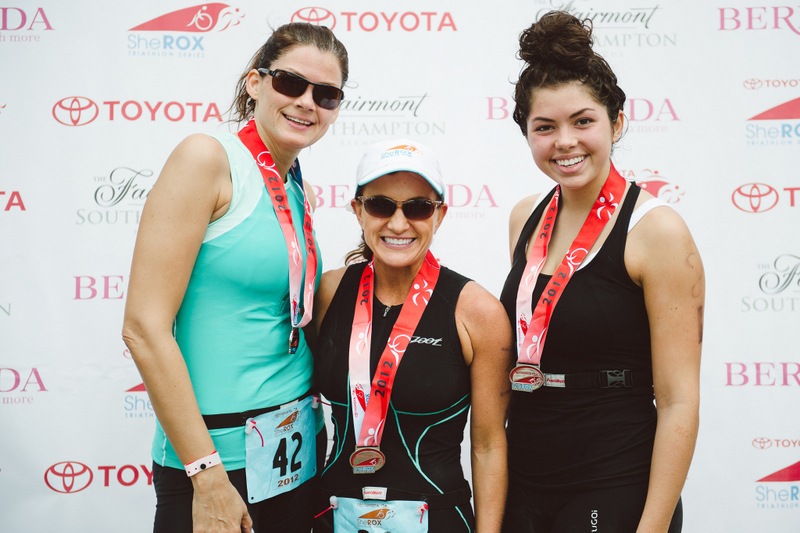 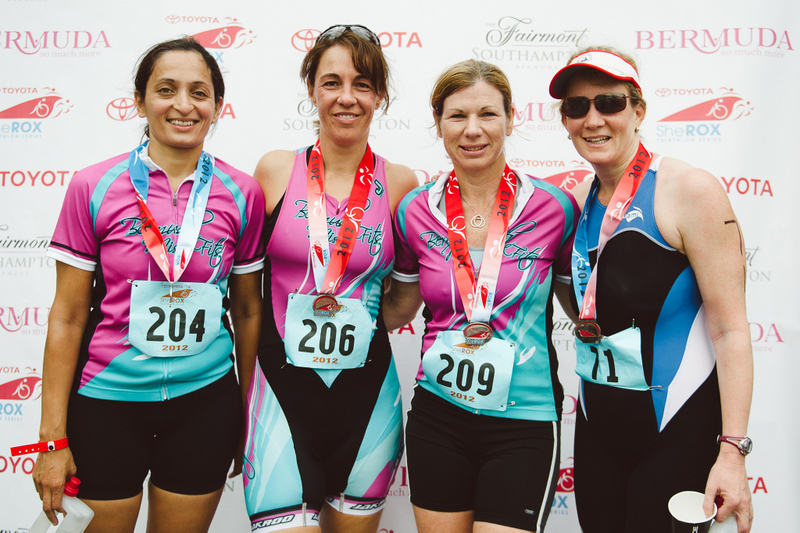 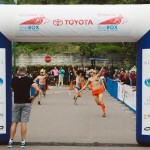 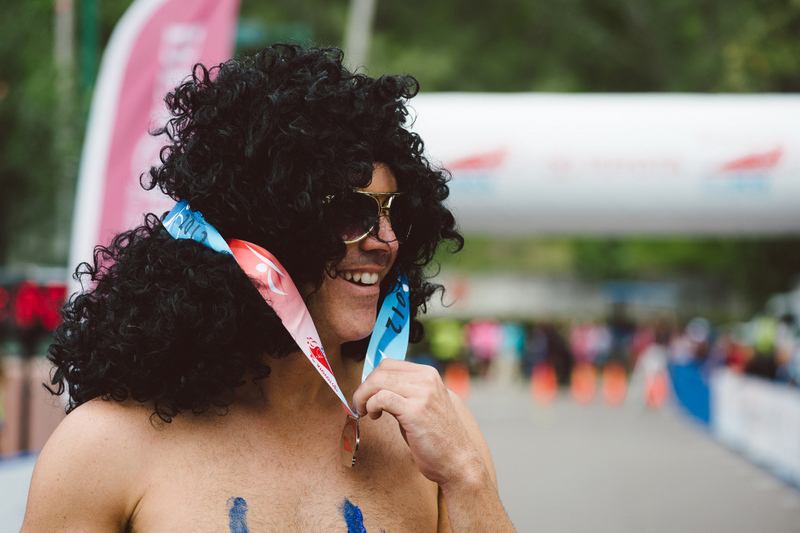 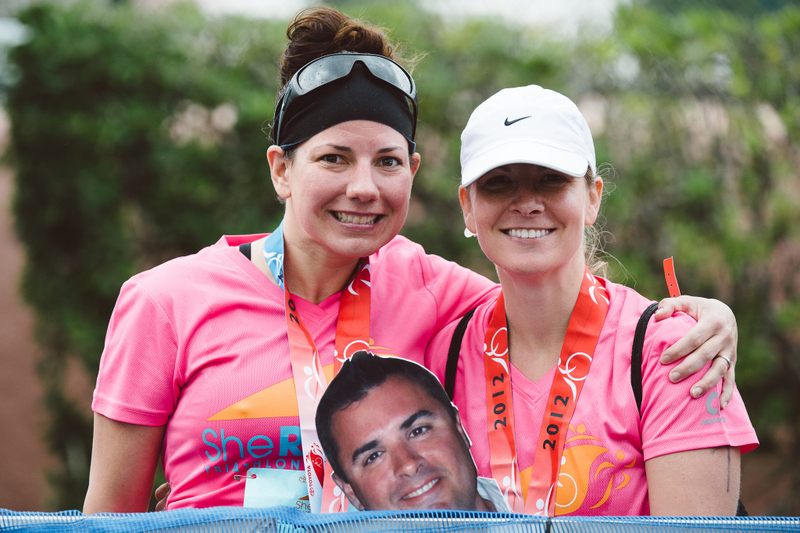 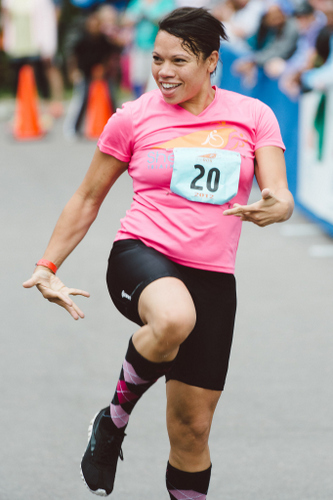 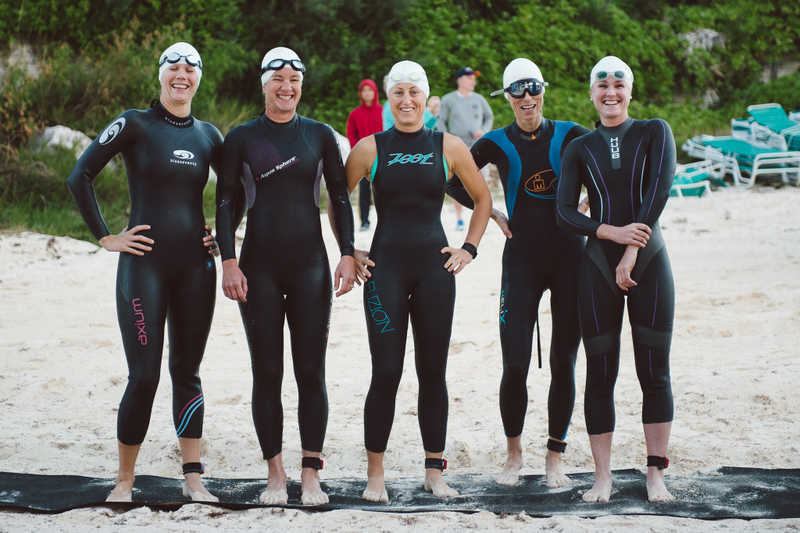 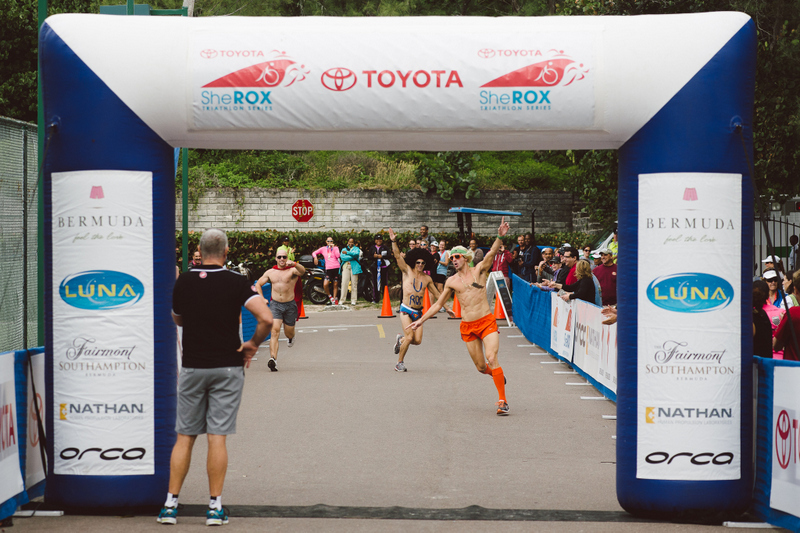 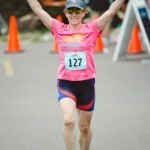 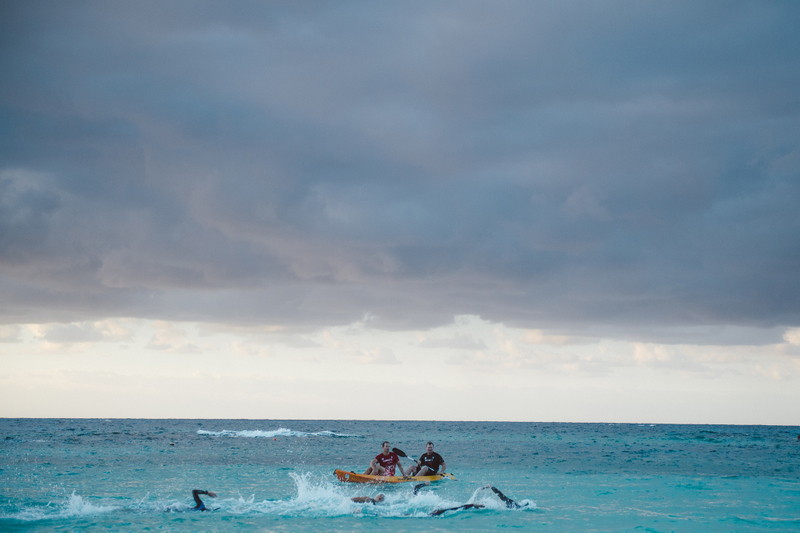 For all our coverage of the SheRox triathlon click here.